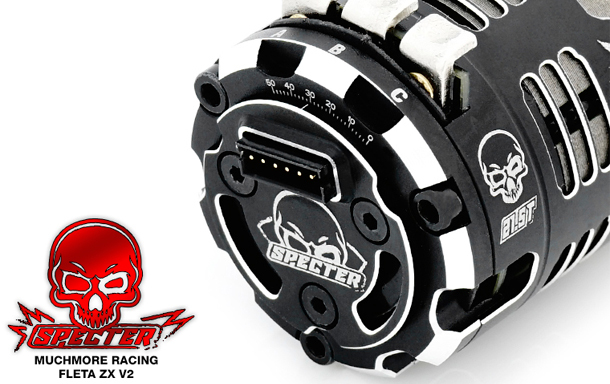 Home › Blog › Muchmore Fleta ZX V2 Specter Brushless Motor now available @ Quantum! Muchmore Fleta ZX V2 Specter Brushless Motor now available @ Quantum! 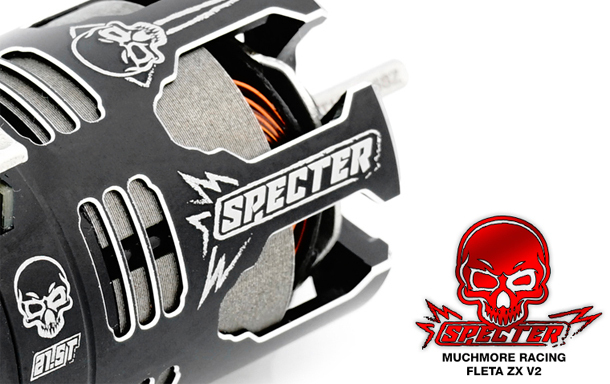 Muchmore Racing introduce “The Specter” the fastest stock motor ever produced. "Specter" Brushless Motor series based technology of the Muchmore Racing R&D team. World champion driver Marc Rheinard participating in the test, the driver can optimize the handling of development. And 1/10 Touring Car and Off-Road driver provides the best feeling and maximum power. 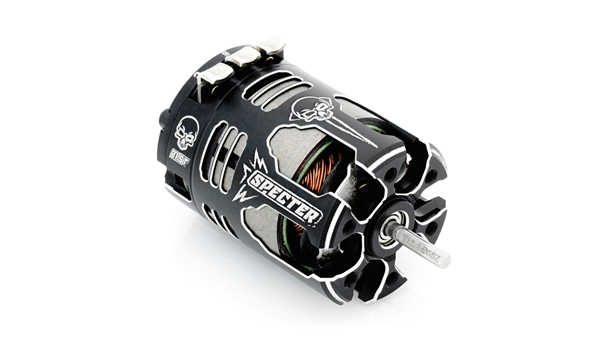 The "Specter" takes stock racing to a new level with its patented Sintered and Rotor design technology along with a short stack which equates to 35% more power output than traditional stock motors. New Special design Specter stator of Reducing IR values to limits.